Grants & Marketing. Winning sporting club grants. There are a number of organisations that offer grants to sporting clubs. Here is some helpful tips on writing winning grants. The first challenge is finding a grant. A full list of the grants available and more information can also be found below. It is useful to subscribe to the NSW Office of Communities Sport and Recreation and the Sports Community website to receive notifications when grants are open. Carefully read all the guidelines and application forms before you start. Look at what types of projects have received funding in the past. If completing the grant application online, save and complete the grant on your computer. This will enable you to spell check your document which you can't usually do with the online application, every little bit helps to show how professional your club is. When completed you can cut and paste your answers into the online application. You can also update the saved results for future grant applications. Most grant applications will require a brief history of your organisation, including the qualifications and experience of key volunteers and general project management experience. Provide examples of what events/projects your club has run successfully in the past. Describe how your project will meet the grant objectives and why the project is needed. Be specific, achievable within a 12-month time frame, relate to a distinct geographical location and to real outcomes that are easily measurable. Projects that are funded are projects that are seen to affect or involve as many people as possible and that have a broad community appeal. It is a project that will provide long term benefits to the community. Support your application with facts and figures. Consider contacting your local council for statistics on your community. The Australian Bureau of Statistics and the Australian Sports Commission websites have valuable statistical data that may support your submission. Work out your budget. Obtain quotes if necessary and list all the expenses and income relating to the project. If successful in obtaining the grant you will need to provide records of expenditure to the funding body. Outline how you will measure the success of the project describing your evaluation methods. Be aware of the application deadline and leave plenty of time to complete. Make sure you receive confirmation that your application has been received and keep a record of your application. If successful, keep the funding body up to date with the progress and related expenditure for the project. The coaching fees + GST, this is payable to the State Office at least 14 days prior to the camp on the appropriate application form. The full listing of the current members of the Paid Instructors Panel can be downloaded at the bottom of this page. To apply for assistance, download and complete the application form. Pony Club NSW offers a grant of $500 to clubs/zones building or renovating a cross country course who engage the services of an EA accredited course designer. Grants are limited to one per zone per year. The club must first make an application to their zone nominating the course designer to be used, which will then be considered at the following Zone committee meeting. In the event of more than one application being received by a zone a vote will be taken to decide which application is to go forward to the State Council for consideration. Following approval at Zone level, the application is submitted to the PCA office together with a letter of support from the zone and will be at the next State Council meeting. Applicants will be notified following the Council meeting to advise if their application has been successful. Payment of the grant is made following the completion of the cross country course including a written report from the course designer confirming that the course has been built as per their design and specifications. For a list of Equestrian Australia accredited course designers click here. To apply, download the application form found at the bottom of this page and send to your zone secretary. NSW Government Office of Communities Sport and Recreation Participation and Facility Grant - Sporting Clubs have the opportunity to build new or upgrade sport and recreation facilities. Local Sporting Champions Program - Sporting champions aged 12– 18 could be eligible for grants of $500 for individuals and $3,000 for teams. Grants For Grassroots - The Australian Sports Foundation has a small grants program which funds initiatives and programs aimed at increasing participation in grassroots and community sport. Holden Grants - Apply for grants from $10,000 up to $100,000 for your local sporting club. Applications close on the 28th February 2015. Club Grants - This funding focuses on the development of sport and recreation infrastructure facilities. Layne Beachley Aim For The Stars Foundation - This foundation is all about empowering and enabling girls and women to take control of their lives, to invest in their future and fulfill their potential. Sportscover Grant - Sportscover's desire to assist community sports led to the creation of the Sportscover Sponsorship Fund (SSF) as an avenue to sponsor a wide variety of amateur sports men and women, striving to achieve sporting greatness across a broad cross-section of sports. Over the last few years, the SSF has donated over $70,000 in grants to grass-roots sporting clubs and associations. Telstra Kids Fund - Telstra Kids Fund is a valuable means by which Telstra employees can direct Telstra philanthropic giving and support their local communities across Australia. Volunteer Grant - The Department of Social Services have Volunteer Grants available. IMB Community Foundation - The IMB Community Foundation provides funding once per year. Elite Indigenous Travel & Accommodation Assistance Program - The Elite Indigenous Travel and Accommodation Assistance Program (EITAAP) is an initiative that is jointly managed by the Australian Sports Commission and Department of Regional Australia, Local Government, Arts and Sport. Multicultural Youth Sports Partnership Program - The MYSP Program aims to create sustainable opportunities for youth from new and emerging communities and culturally and linguistically diverse backgrounds to participate in sport and physical activity within local communities. Our Neighbourhood Community Grants - Australia Post, Our Community Grants Program encourages organisations to apply for funding for projects that will help to build healthier, more vibrant and more inclusive communities across Australia. Community Building Partnership - The NSW Community Building Partnership program aims to provide improved community infrastructure for the people of NSW and encourage the enhancement of local community based activities that create more vibrant and inclusive communities. Regional Development Australia - NSW RDA Committees work to drive regional economic development and unlock the economic potential of their regions. Find your local RDA office in the link and subscribe to the newsletter to keep up to date with what's happening in your local area. Rotary Australia - Australian Rotary Clubs are part of an international network of business, professional and community leaders who strive to make the world a better place through practical efforts. Contact your local club. Information on District grants can be found here. Bendigo Bank - Community Enterprise™ Foundation is the charitable arm of Bendigo and Adelaide Bank. Through the Foundation we are able to create a pool of money to help build stronger communities through funding programs for families, youth, health, education, the environment, the arts and lots more. Greater Bank - Nominate your organisation to go in the draw to receive funding from Greater Bank, or vote for the organisation you'd like to see given a much needed financial boost through either Greater New England or Greater Illawarra. Marketing is about communicating your club’s activities and facilities to attract members, funds and other resources. It can be as simple as placing an ad in the local newspaper. It involves finding out who your customer is and tailoring your activities to that market. The marketing of sporting clubs includes activities like open days, advertising and events. However members and officials are actually marketing the club whenever they take on their roles - often without being aware of it. A club secretary who provides information about membership over the phone contributes to the image of your club just as much as the member representing your club in uniform at a pony club competition. It increases memberships and funds for your club. It will help you understand your members and potential members - and lead to informed decisions to help boost your membership. A good club image, attracts new members, appeals to potential sponsors and encourages people to volunteer and participate. Helps you to identify the most appropriate and cost-effective marketing approach, which in turn is value for money. Marketing is often referred as the 5 Ps. The research on your target market, what your club offers and where it is positioned within the market helps identify your club’s marketing mix. Product - This is your Pony Club. What can you offer that other sports in your area may not? People - This includes your Pony Club volunteers and members. Price - This includes your Pony Club membership fees. Is your membership fee realistic and competitive? Will your members achieve value for money? Promotion - Ensuring potential members/volunteers are aware of your Club. This can be advertising, publicity, brochures, etc. Think about what type of advertising will reach your target audience? Place - Where the Pony Club is located. Do you know where your target audience are, and who they are? There are a number of effective ways to promote your Pony Club. Website - Set up a Club Website.These days websites are cost effective and easy to maintain. Apoint someone in your Club to regulary update your website. Advertising - is paid advertising in the media. You may choose to place an advertisment in your local newspaper, school newsletter, or local radio. Publicity & Media - This is free promotion for your club through such mediums as local newspapers or radio stations. 'Tips for writing a Media Release' can be found downloaded below. The Land Newspaper invites pony clubs, youth associations and all young horse enthusiasts to email “Saddle Up”photos and a brief account of their latest events. Download the file 'The Land - Saddle Up Tips' below for more information. Merchandise & Uniforms - Create merchandise such as caps, socks, shirts etc to raise funds and promote your club at the same time. Flyers & Brochures - Produce a simple brochure or flyer that outlines the club information, membership fees and contact information. Distribute to the local community notice boards, library, recreation centres, primary schools or letter box drop. Newsletters - Distribute a regular newsletter to provide information to members about club events, activities and news. Signage - A banner with your club name, and colours could be used at registration days, presentation days, competitions and promotional events. Open Day - Pony Clubs are encouraged to hold an Open Day on a day that suits them throughout the year. Holding a Open Day will raise awareness of your Club in the local community. It will provide an opportunity for people to see what being a member of your Pony Club is all about and increase memberships in your Club. More information is available below. Fundraiser - Fundraising is generally the most cost effective way to raise funds for your club and can also help to promote your club in the community. Depending on the size of the event or offering, a considerable amount of planning and resources are necessary to get the most out of a fundraiser. Putting the Fun back in Fundraiser - more information available below. 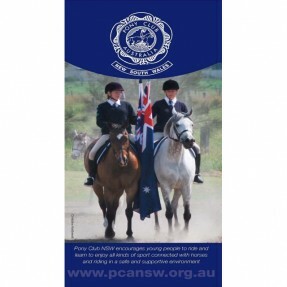 Pony Club NSW Competitions - Promote member and club competitions in your Club to help show the various member benefits. Or enter for your chance to win prizes which can be used at your Club. Check out our competitions page here. Grants - There are a number of organisations that offer grants to sporting clubs. This can help to make your club more sustainable and raise the profile of your club in your area, state or event nation wide. Clubs are encouraged to hold an Open Day on a date that suits them every year. It will provide an opportunity for people to see what being a member of your Pony Club is all about and may increase memberships in your Club. The Executive suggests that Clubs and Zones use their registration days for the Open Day Initiative. Suggestions for holding an Open Day include hosting a “trash and treasure market”, “sausage sizzles” and a “morning tea”. Any fundraising that is done on Club grounds will be covered by insurance as long as the fundraising initiative is minuted by the Club prior to the event, any person riding is a financial Riding member and that details are supplied to the State Office in writing or via email for insurance purposes. If you are in doubt as to whether your event will be covered please contact the office preferably via email at admin@pcansw.org.au so that this can be confirmed through the insurers. When: On a date that suits your Club. PCANSW suggest holding it as part of a Rally Day. Where: Your Pony Club Grounds. Pony Club Role: Arrange date, arrange activities, promote the day, run the Open Day. PCANSW Role: PCANSW will supply; brochures, branded merchandise, posters, and a ’How to host a Open Day’ guide. Where to Start: Notify the State Office using the contact details below of the date and venue you will be holding your Club Open Day. 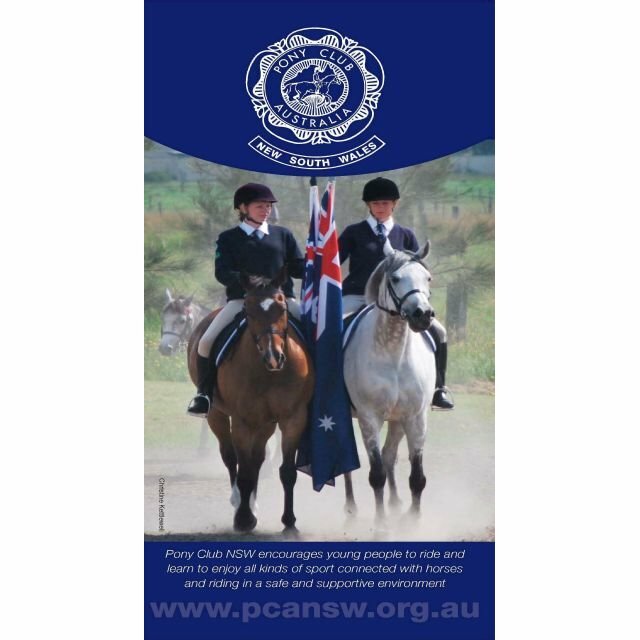 Please provide contact details in order to post the Pony Club NSW Open Day pack and ‘How to host a Open Day’ guide.